The O’Neill/L-5 phenomenon may have been the precursor of a broader movement of American opinion, the leading edge in a new surge of pro-space sentiment. After hitting a low point in the early 1970s, the percentage of Americans favorable to doing more in space began to grow in the middle of that decade. That shift was particularly noticeable among younger people. Unlike the sharp ups and downs of attitudes toward space during the 1960s, this upward trend seems more gradual and long­term, implying that it may be less tied to specific events. One of the most useful presentations of long-term trends in American opinion about space activity was prepared by Professor John M. Logsdon of George Washington University for the Office of Technology Assessment’s 1982 report entitled Civilian Space Policy and Applications. Figure 6.1 shows the results of asking the question: should the United States do more in space or less? The “do less” school of thought grew rapidly during 1966 and 1967, a period marked by the end of the Gemini program, the Apollo fire, the emergence of other pressing national issues such as Vietnam, and cut­backs in NASA’s budget. This sentiment declined during the 1968 boom in pro-space opinion. However, it rose again in 1969 and 1970 to about half the population, a level that was sustained until the mid-1970s. There was a clear change of trends from 1975 on. “Do more” opinion grew all through the late 1970s, approaching half the total responses for the first time ever when the first Space Shuttle flew in April 1981. “Do less” opinion declined during the late 1970s, dropping sharply in 1980, before the first Shuttle mission. Similar trends appear in surveys reported by Robert D. McWilliams of Virginia Polytechnic Institute and State University in papers presented to the Princeton/AIAA conferences on space manufacturing. In 1981, McWilliams reported that the percentage of people believing that too much was being spent on the space program rose in the early 1970s to a high of 61 percent in 1974, while those believing too little was being spent scored as low as 7.4 percent in 1974 (those who thought spending was about right fluctuated between 27 and 30 percent during this period). A change began in 1976 and 1977. Those who wanted less spending declined to 39.1 percent in 1980, while the percentage of those who wanted more spending rose to 18.0 percent that year. Meanwhile, the percentage of people who thought space spending was about right also was growing. By 1980, those who wanted space spending either increased or kept at the same level exceeded those who wanted it cut for the first time during the years the survey was conducted. There seems to have been a crossover point in opinion about space around the year 1980. This may turn out to have been an historic moment in the history of pro-space activity in the United States. As we will see in Chapter 7, it coincided with a proliferation of pro-space organizations, and with a growing self-awareness within the pro-space constituency. The first flight of the Space Shuttle in April 1981 appears to have generated a new peak of enthusiasm for space. In August 1981, the New York Times reported the results of a poll by the Associated Press and NBC News. This sampling showed that 60 percent of American adults said they thought the United States was not spending enough or was spending about the right amount of money on the space program. Forty-two percent said they would travel in space if they had the chance. A Louis Harris poll conducted in May 1981 showed that 63 percent of those interviewed believed it worthwhile to spend several billion dollars to develop the full potential of the Space Shuttle over the next ten years. However, the breakdown showed interesting divergences (Table 6.1 [not included due to copyright]). Support appears to have remained strong through the mid-1980s. A poll conducted in April 1984 showed that 45 percent of American adults were interested in riding in the Space Shuttle — more than half the men and 36 percent of the women. Younger people were the most eager to go, and the West had a higher percentage expressing interest than any other region. The attentive public, which was both interested in and knowledgeable about space exploration. This constituted about 10 percent of the total public in 1981, or about 15 million adults. Miller found these people to be highly supportive of the space program. They also were high-volume consumers of news and science information and were committed to the idea that interested and informed citizens can have an impact on the formulation of public policy. The interested public, which had a high level of interest but believed itself inadequately informed. This amounted to just over 15 percent of the total, or about 24 million adults. Despite the information deficit, the interested public held very positive attitudes toward space exploration. The residual science-oriented public, which had a high level of interest in science and technology, but a relatively low level of interest in space exploration. A majority of this group, which included over a fourth of the population, had positive attitudes toward space exploration. The nonattentive public, which reported a low level of interest in and little knowledge about space exploration. Even this group, which made up almost half the population, favored a continuation of the space program. However, these people placed a low priority on federal spending on space relative to health care, education, and human service programs. When the attentive public and the interested public are added together, we find that about a fourth of American adults were very positive about space in 1981. This is about 39 million people — a large potential constituency by any standard. In October 1983, the National Space Institute and Science Digest magazine conducted a poll on attitudes toward space. The results tended to support Miller’s findings and showed the science-oriented public (that is, the readers of Science Digest) to be nearly as space positive as the attentive public (that is, members of NSI). Asked to rate their level of agreement with various statements, respondents gave the highest marks to the statement that spending on the civilian space program has a beneficial effect on the nation technologically and economically. Close behind were strong agreement on the importance of a manned space station by about 1990 and the necessity of increasing the planetary exploration budget. Respondents strongly agreed that they would be willing to pay about $50 a year in taxes to support the overall civilian space program. About 23 percent of the NSI members and 15 percent of the Science Digest readers said they would be willing to spend $10,000 for a two-day ride into orbit aboard the Space Shuttle. Robert McWilliams looked at the question of where space ranked in relative priority among selected federal programs, finding that it ranked low on the list, just above foreign aid. However, the percentage of people favoring increased spending on space rose from 10.7 percent in 1977 to 19.6 percent in 1980. Only the military, armaments, and defense category showed a more rapid increase. technology. Rather, it seems that Americans may be coming to view the space program as being conducive to the achievement of other types of goals of which they are in favor. Johan Benson, the Washington representative of the American Institute of Aeronautics and Astronautics, puts it more informally. “To know space is to love space,” he observes. The Office of Technology Assessment reported surveys that suggest reasons why people are interested in or support the space program. Table 6.2 [not included due to copyright] lists perceived benefits from space exploration. The perception that space spending will improve other technologies is not surprising, since it has been a major selling point for the space program for years. What is more intriguing is the public interest in more expansive ideas, such as finding new sources of minerals and energy and new areas for future habitation, both favorite themes of the O’Neill/L-5 school of space industrialization. Also notable is the level of interest in contacting other civilizations. One may speculate that much of the credit should go to the educational efforts of Gerard K. O’Neill (space colonization and extraterrestrial resources) and Carl Sagan (planetary exploration and the search for extraterrestrial life and intelligence). Quoting a study by William S. Bainbridge and Richard Wyckoff, McWilliams reports these results on the popularity of various justifications for spaceflight, estimating percentages for the total U.S. adult population based on a survey in Seattle (Table 6.3 [not included due to copyright]). 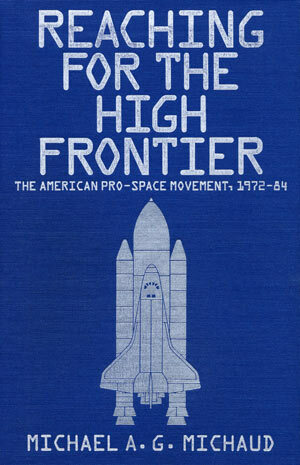 Studies show a significant degree of agreement as to the profile of the pro-space American. Surveys reported by the Office of Technology Assessment show that the people who are the most pro-space tend to share certain characteristics: male, between 25 and 34, college educated, professional or technical employment, working for the government, income over $25,000 a year, living in the West, and slightly more likely to vote. Those most opposed to the space program tend to be female, over 65, with less than a high school diploma, laborers and service workers, and with an income under $5,000. The report comments that while pro-space attitudes have increased substantially among whites, they increased only negligibly among blacks. Jon Miller reports that surveys done in 1979 and 1981 showed that the attentive public for space exploration was the youngest and best educated of the four segments, with the interested public ranking second in both youthfulness and level of formal education. The nonattentive public tended to be the oldest and least well-educated segment of the population. The attentive public for space exploration was predominantly male, by about two to one, while the interested public had a male majority (however, the residual science-oriented public included a majority of females). The attentive public included a higher level of professional and technical workers. A college level science course was strongly and positively associated with attentiveness to space exploration. McWilliams reported similar results, finding that males are somewhat more likely than females to express opinions in support of the space program, that whites tend to be more pro-space than blacks, and that individuals between 22 and 35 years old show the greatest propensity toward pro-space attitudes. Among the most significant trends in evidence, writes McWilliams, was a constant tendency for space exploration supporters to score notably higher than their space-negative counterparts on all usual measures of socioeconomic status, such as class and education. In fact, the level of formal education showed the most marked association with space-positive attitudes. In his 1981 paper, McWilliams reported that differentiation of space-spending opinion along educational lines had increased since 1977. He also reported an overrepresentation of “space positives” among persons who expressed no formal religious preference and among persons who had never been married. Although females have tended to be far less enthusiastic about space than males, in 1981 McWilliams reported that “the relative differentiation along sexual lines is now slightly less marked than it was in 1977 due to a greater proportional increase in pro-space sentiment among females than among males.” However, “the notable schism in space spending attitudes along racial lines has become more marked since 1977,” reported McWilliams. Summing up, McWilliams said the American who favors increased government investment in space exploration tends to be white, male, and between the ages of 22 and 35. He is 50 percent more likely than the average American to have had some college education and nearly twice as likely to have earned a college degree. In addition, he shows a markedly greater than average tendency to have a high socioeconomic status and is notably more likely than his “space-negative” counterparts to exhibit a less than average concern for formal religious affiliation. Average household income is $20,000 to $30,000. Fifty-eight percent have college degrees. Most are not in aerospace-related fields, but 98 percent are members because of a lifelong interest in space exploration. Members range across the political spectrum, but are one and a half times more likely than the average person to vote and to contact their elected representative. In a 1984 survey of its members, the National Space Institute found that respondents had an average age of 34 and an average annual income of over $32,000. Eighty-four percent had some college education, and 30 percent had done postgraduate work. Forty-four percent considered themselves professional, and 28 percent, technical. Although only 15 percent of the respondents were directly involved in the space program, 98 percent said they had a lifelong interest in space. In 1985, the Planetary Society reported the results of a survey of its members, which showed that they were 85 percent male, that 88 percent had some college education (including 24 percent with advanced degrees), and that 64 percent were in the 26 to 49-year age bracket. The largest income bracket was between $20,000 and $30,000. A smaller organization, the United States Space Education Association, reported that a demographic survey in early 1983 showed that the “average” USSEA member was a single white male between the ages of 21 and 30, a Protestant who had completed 3.52 years of college, and someone who was making between $11,000 and $20,000 annually in a field other than the aerospace industry. Statistics on the geographic distribution of pro-space opinion are difficult to find. One of the most useful presentations was made by Hugh Millward in his article “Where is the Interest in Space Settlement?” published in the January 1980 L–5 News (Figure 6.2). Millward’s map showing the density of L-5 Society membership in 1979 showed a strong tilt toward the West and Southwest, with pockets in New England, the Mid-Atlantic states, Michigan, and Wisconsin. As we will see in Chapter 8, this roughly coincides with patterns in the formation of new pro-space groups (Figure 6.2). What is striking here is that all the factors (except the presence of a NASA facility or contractor) have to do with general measures of wealth, education, growth, and urbanization. Interest in space seems to be correlated positively with common socioeconomic indicators of prosperity and knowledge. The geographic pattern suggesting that pro-space sentiment is stronger in the West and Southwest appears to be at least superficially related to the distribution of NASA’s contract awards. Prime contractor awards from 1979 to 1982 were distributed by region as shown in Table 6.4. *All but Utah, Connecticut, and Colorado contain NASA centers or major NASA installations. Source: Annual Procurement Report — Fiscal Year 1983 (Washington, D.C.: National Aeronautics and Space Administration, 1983), p. 38. Cutbacks in NASA contractor employment between 1966 and 1971 showed patterns that may be related to later interest in space activism, with the Far West suffering by far the worst blows (Table 6.6). Source: Testimony of George M. Low, Acting NASA Administrator, in 1972 NASA Authorization, Hearings before the Committee on Science and Astronautics, U.S. House of Representatives, March 2, 1971 (Washington, D.C.: U.S. Government Printing Office), p. 76. There is some evidence that the growth of pro-space attitudes in the United States is correlated with the “baby boom” generation (people born between 1946 and 1964), particularly its later cohorts. Space interest and space group profiles tend to be tilted toward the younger end of the population spectrum. The space group boom that began in the late 1970s (described in Chapter 8) roughly correlates with the emergence into their twenties of people born between the peak baby boom year of 1957 and the last baby boom year of 1964. Randall Clamons, then administrator of the L-5 Society, wrote that “the membership of the L-5 Society is made up of the products of the baby boom.” According to him, people reaching age 25 between 1970 and 1985 accounted for 91 percent of the society’s membership. There have been other signs of increased public support for space. One measure is the size of the crowds that continue to turn out to see the launches of manned spacecraft. An estimated 600,000 people observed the Space Shuttle as it lifted off on its first mission in April 1981, and 400,000 to 450,000 drove out to Edwards Air Force Base in California to watch it return. Hundreds of thousands more came to see the Shuttle orbiter as it visited various cities on the back of its Boeing 747 carrier. These crowds were comparable to those that turned out at the height of the space race in the 1960s. The fact that there is no comparable sense of national emergency today makes this demonstration of popular interest all the more impressive. It also is striking that the Space Shuttle drew large crowds when it toured Western Europe in 1983; NASA Administrator James Beggs estimated that the total was about 5 million people. Interest in space is not just an American phenomenon.Another measure is the popularity of the “Dial-a-Shuttle” telephone service sponsored by the National Space Institute. Under this arrangement, a caller who dials the correct number can listen in to radio conversations between Shuttle crews and ground controllers. Despite the rather vicarious nature of this experience, hundreds of thousands of calls have been placed during each Shuttle flight. According to Bonny Lee Michaelson of the National Space Institute, who coordinates this program, 861,000 calls came in during Shuttle mission STS-9 in December 1983 (the one that carried the first Spacelab). About one third of the calls were international, probably because the mission carried the first Western European to ride into space on an American spacecraft.Another sign is attendance at the National Air and Space Museum in Washington, D.C., which has become the most popular museum in the world. The museum drew 4 million visitors in the first five months after it opened in July 1976, at a time when no Americans were going into space. On May 24, 1984, the museum welcomed its 75 millionth visitor. During that calendar year, the museum had 14,438,799 visitors.NASA continues to be deluged with applicants for its astronaut, mission specialist, and payload specialist programs. In announcing a new class of 17 astronaut candidates in May 1984, NASA reported that it had received 4,934 applications. Hughes Aircraft Company received nearly 600 applications from Hughes employees to fill two payload specialist positions available on Space Shuttle missions to fly in 1985. Clearly, the desire to go into space and to be associated with the space enterprise is widespread. Jon Miller found that the attentive public for space exploration was more politically aware and active than the other strata he described. Furthermore, the level of contacting of public officials was significantly higher for the attentive and interested publics than for the other segments of the population. Not surprisingly, a higher proportion of attentives indicated that they perceived contacting officials to be efficacious in influencing policy. Two thirds of the attentive public, when faced with a hypothetical policy issue, indicated that they definitely or probably would participate personally in the dispute. The National Space Institute’s 1984 survey showed that 86 percent had voted in the last presidential election, almost twice the national average.Miller found that the attentive public for space exploration is not composed of a single slice of the ideological spectrum but is broadly representative of a wide range of political philosophies. However, a higher proportion of the attentive public labeled themselves “liberal.” (The National Space Institute’s 1984 survey showed the reverse, with the balance being slightly conservative, although less so than the public at large. )Miller also found that the attentive public for space exploration was bipartisan, with 39 percent expressing a preference for each of the two major parties. The nonattentive public was predominantly Democratic. The May 1981 Harris survey quoted in Table 6.1 showed that Republicans and conservatives tended to have more favorable attitudes toward the Space Shuttle than Democrats and liberals. In a survey of L-5 Society members in 1983, 31 percent identified themselves as Republicans, 25 percent as Democrats, 8 percent as Libertarians, and 33 percent as none of the above. All this suggests that, as of the early 1980s, support for space activity in the general public was not closely tied to partisan views, although Democrats were more likely to be unenthusiastic. There is political potential in a large number of Americans who are well above average in socioeconomic status, level of information, and willingness to vote or to approach their representatives. Candidates from both major parties might find it useful to seek the support of pro-space people, not because of that characteristic but because of their socioeconomic profile and their tendency toward activism. The space theme also might be one way of attracting younger voters if pro-space attitudes are indeed more common in the baby boom generation. As of 1984, that generation constituted over 40 percent of the voting age population, and politicians seemed to be showing greater interest in the views of its members.Some evidence suggests that pro-space opinion is particularly strong in the West and Southwest. Census results show that those areas have been growing more rapidly than other regions of the country. “Sunbelt” states will continue to gain members in the House of Representatives, and their influence on national decisions seems likely to increase. One study predicts that nearly 40 percent of the 270 electoral votes needed to elect a President in 1992 will be in three states: California, Texas, and Florida.We also should consider the other side of this coin: the strength, or weakness, of anti-space opinion. Miller concludes that negative opinions toward the space program are rarely based on substantive information, suggesting that for segments other than the attentive public these views may be classified as “opinions” that are not deeply rooted or strongly held. Furthermore, anti-space opinion is unorganized, while pro-space attitudes are reflected in organizations that are active and numerous, even if they are not very effective in direct lobbying. McWilliams concluded in his 1981 paper that the base of support for increasing federal allocations for space exploration is broadening rapidly. There is an implied political opportunity here for pro-space people. However, Aerospace Industries Association officials John Loosbrock and James J. Haggerty are correct in saying, “watching a launch is not a constituency.” The question for pro-space activists is whether they can turn this attitudinal constituency into a political one. Ronald Reagan, in a speech to the graduating class at the U.S. Air Force Academy, May 30, 1984. See Weekly Compilation of Presidential Documents, Volume 20, Number 22, June 4, 1984, pp. 782-86. Also see “Washington Roundup,” Aviation Week and Space Technology, June 4, 1984, p. 15. The slogan was created in response to a 1984 USA Today poll that showed that 45 percent of Americans wanted to fly on the space shtutle. See note 7. Civilian Space Policy and Applications (Washington, D.C.: Office of Technology Assessment, 1982), p. 136. Robert D. McWilliams, “The Improving Socio-Political Situation of the American Space Program in the Early 1980s,” in Jerry Grey and Lawrence A. Hamdan, eds., Space Manufacturing: Proceedings of the Fifth Princeton/AIAA Conference, May 18-21, 1981 (New York: American Institute of Aeronautics and Astronautics, 1981), pp. 251-60. “Poll Finds that Most Americans Support Nation’s Space Program,” New York Times, August 19, 1981, and “Public Majority Support Space Effort,” Insight (National Space Institute), September/October 1981, p. 6. See also Civilian Space Policy and Applications, p. 141. See “Poll Indicates Growing Public Support for Space,” Insight, July/August 1981, p. 3. Louis Harris, The Harris Survey (Orlando, Fla.: Tribune Media Services, June 1, 1981). Reprinted with permission. See also “Poll Finds 63% of Surveyed Back Full Spending on Shuttle,” Aviation Week and Space Technology, June 15, 1981, p. 33, and Civilian Space Policy and Applications, p. 141. “45% of Us Would Be Astronauts,” USA Today, April 19, 1984. Jon D. Miller, “The Information Needs of the Public Concerning Space Exploration: A Special Report for the National Aeronautics and Space Administration,” Public Opinion Laboratory, Northern Illinois University, July 20, 1982. National Space Institute News Release, March 2, 1984. McWilliams, “Improving Socio-Political Situation,” p. 252. Civilian Space Policy and Applications, pp. 138-39. Miller, “Information Needs of Public,” pp. 16-18. McWilliams, “Improving Socio-Political Situation,” p. 257. Brochure entitled “National Space Institute,” dated October 1983. “Report from the Executive Director,” Insight, May 1985, pp. 2a-3a. “Preliminary Results from Most Recent Survey,” unpublished document kindly provided by Randall Clamons. “Demographic Survey Results,” SSI Update, Second Quarter 1983, p. 6. “You Tell Us – The Planetary Society Members’ Survey,” The Planetary Report, May/June 1985, p. 13. Tenth Anniversary Press Kit, United States Space Education Association, July 11, 1983. It should be noted that these are not necessarily final figures. Testimony of George M. Low, Acting NASA Administrator, 1972 NASA Authorization, Hearings before the Committee on Science and Astronautics, U.S. House of Representatives, March 2, 1971 (Washington, D.C.: U.S. Government Printing Office, 1971), p. 76. Undated document kindly supplied by Randall Clamons. “Crowds Gather to View Launch, Landing,” Aviation Week and Space Technology, April 20, 1981, p. 26. Speech by James Beggs at Georgetown University seminar on education for international cooperation in science and technology, January 29, 1985. “840,000 Dialed Columbia’s Phone,” Washington Post, December 10, 1983, and conversation with Bonny Lee Michelson, January 27, 1984. The National Space Institute puts out a press release each time this service is available. “Air and Space Museum: Four Million in Five Months,” Astronautics and Aeronautics, January 1977, p. 16. “News Digest,” Aviation Week and Space Technology, June 4, 1984, p. 27. “From Pate to Hot Dogs, Tourism Rises,” New York Times, July 28, 1985. “NASA Names 17 Astronaut Candidates,” Aviation Week and Space Technology, May 28, 1984, p. 29. “Industry Observer,” Aviation Week and Space Technology, June 4, 1984. Miller, “Information Needs of Public,” pp. 53-54. See, for example, “Here Come the Baby Boomers,” U.S. News and World Report, November 5, 1984, pp. 68-73; “A Party in Search of Itself,” Time, July 16, 1984, pp. 12-20; “Tomorrow,” U.S. News and World Report, May 21, 1984, pp. 19­20. See “Texas, Florida Areas Burgeoning,” Washington Post, June 5, 1985. “Tomorrow,” U.S. News and World Report, June 24, 1985, p. 16. Miller, “Information Needs of Public,” pp. 27, 77. McWilliams, “Improving Socio-Political Situation,” p. 259. Interview with John Loosbrock and James J. Haggerty.